Travel Training Our disabled and older customers are invited to take advantage of free personalized travel training. You’ll learn how to find the bus, how to pay your fare, and much more. Welcome to El Metro free Travel Training Program. Our program promotes greater independence and the confidence to travel anywhere El Metro buses go, anytime they operate. As an independent traveler, you can rely less on paratransit ,family and friends for transportation and have the freedom to plan your trips according to your own schedule. 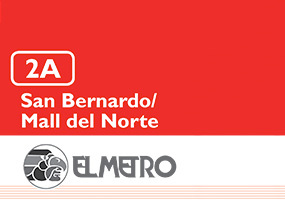 All EL Metro buses are easily accessible to persons with disabilities and older adults. Ramps and lifts are available on all vehicles for your convenience. 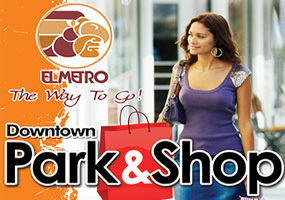 El Metro has more than 2,000 bus stops at shopping malls, neighborhoods, colleges, transit centers, and entertainment and employment centers across the City of Laredo. With the confidence and skills to travel independently, you are on your way to enjoying the benefits of riding with El Metro. Welcome aboard! The El MetroTravel Training program is for people with disabilities and older adults who want to learn to travel safely and independently using public transportation. Travel training is a FREE self-paced process where an individual, regardless of ability or age, can learn to ride El Metro fixed-route system. Individuals with physical, cognitive and visual disabilities and older adults who wish to gain travel independence and confidence by familiarizing themselves with El Metro bus system. Parents and care providers can benefit, too. Providing a child or aging parent with the knowledge to use El Metro buses provides independence, saves time and lowers expenses. The community benefits as well. With a newfound ability to travel with El Metro, individuals will be able to visit family and friends, shop more often, and participate in recreational activities that enhance their quality of life. Anywhere! You can learn how to go to your work, school, senior center, church, a friend’s house, your doctor’s office or the mall. Travel Training for Seniors. More than half of all non-drivers age 65 and older stay at home and often become isolated largely because transportation options are limited, particularly in rural and smaller communities. That’s why El Metro is proud to offer mobility training that puts people in control of their schedule, their time and their life. Mobility training allows seniors to rely less on others for their trips, increase confidence and independence, and provide freedom to go where they want, when they want. As part of the training, seniors learn how to navigate El Metro fixed-route system and master the skills necessary to ensure an enjoyable trip. 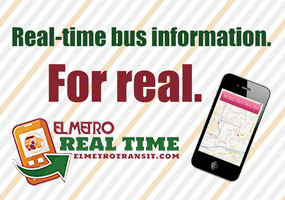 Whether it’s a visit with family and friends, a dinner date, or a trip to the shopping center, El Metro fixed-route service is affordable, easy to use, and best of all, it’s available without an appointment. Travel Training for People with Disabilities. This type of training can be long-term and comprehensive. The instruction is designed to teach customers with disabilities how to travel safely and independently on El Metro fixed-route buses. The goal of the program is to train individuals with disabilities to travel independently to a regularly visited destination and back. Specially trained personnel provide the travel training on a one-to-one basis. Customers learn travel skills while following a particular route and are taught the safest, most direct route. The training provides the skills required for safe and independent travel. Time spent on training is based on the individual’s need. Instructors will spend as much time as necessary to ensure each person is comfortable travelling on their own.